In the time of Babur, Daulat Khel branch of Lohanis got involved in a feud with the Prangis who were settled in the fertile tract of Tank. 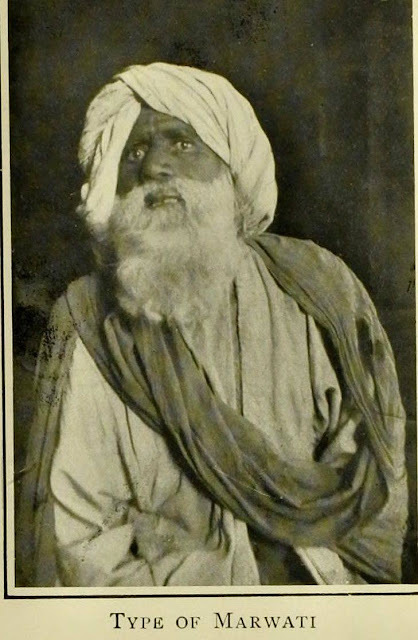 Shahbaz Khan alias Khan Zaman Khan Daulat Khel sought help from his kinsmen, the other Lohani tribes in the area. The Marwats supported the Daulat Khels. So fierce was the battle that Prangis were almost decimated and the survivors joined their kinsmen in Hind. Khan Zaman Khan divided the acquired territory of Tank tract into four equal shares amongst the four Lohani tribes who had taken part in the battle against Prangis. Lohani clans are said to have afterwards quarreled among themselves about the lands taken from the Prangis, but eventually they all settled down in the countries which they now occupy : the Marwats in the Lakki Marwat district; the Daulat Khel and Tators in Tank ; and the Mian Khels at Draban and Musahzai in the Kulachi tahsil of Dera Ismail Khan district. “The Marwat Afghans are a section or sub-tribe of the great tribe of Nuharni. The Marwat section consists of about 40,000 families, the greater number of whom follow a nomadic life, but many of them have taken to fixed abodes, and the cultivation of the soil. There are at present two Sardars or Chiefs in this tribe: one, Nur Khan of the Pahar Khel, before referred to as being the rightful chief, and the other, Gul-rang Khan of the Khafiz Khel, who has been lately set up by some sections of the tribe. Nur Khan dwells at Pahar Khel, and Gul-rang Khan, the rival chief, at Pathan-Kot; and between these rival chiefs there is no accord. Both pay allegiance to Timir Shah Sadozi, Badshah of Kabul, each pay into his treasury 5,000 rupis as a tenth, and each furnishes a contingent of 200 horsemen to the Badshah's army. Their principal wealth is in cattle; and they likewise possess numerous flocks of sheep, and herds of camels. In the winter time they come into the garam-sir or hot parts, in the tracts east of the mountains towards the great river, but, in the summer months, they resort to the sard-sir or cool tracts in the mountains. “Their country, which, previous to their arrival in it, was known by the Hindi name of “Thal,” extends, from east to west, for about fifty kuroh in length, and forty kuroh in breadth from north to south. The chief place, and seat of government, is styled Laka’i, which is a town of considerable size, but the houses are merely constructed of reeds, and thatched with grass laid on the branches of trees." As this tract of country consists chiefly of sandy tracts and desert, as its name indicates, and is surrounded on all sides by mountains at greater or lesser distances, it is exceedingly dry and hot; and, as large trees and long grass do not grow hereabouts, its inhabitants have no other stations or dwelling-places save such like unsubstantial abodes. The river Gambila'h and river of Kurma'h flow through the middle of the Marwat territory; and on both sides of these rivers the land is exceedingly fruitful, and produces fine crops. The Gamila'h, as before mentioned, comes down from the hilly country of Karni-Gram, and, passing on the north side of the town of Laka'i, unites with the river of Kurma'h and its many minor tributaries three or four kuroh farther east. The united streams then flow through the lower part of the country of the 'Isa Khel, receiving some minor streams from the hills of that part, and finally unite with the Abae Sin. Like some other Afghan tribes, the Marwat Nuharnis re-distribute the lands of their villages every ten or twelve years, sometimes after longer periods; and each member of the community, even to the infant in arms, has a share allowed. This re-distribution is, however, restricted within certain customary regulations. “The lalmi lands, or lands dependent on rain for irrigation, are chiefly unproductive. In the cold season, however, much rain falls, and snow likewise, but, in the hot season, the heat is very great. It is not the custom in this country to sink wells, and the people use the river water for drinking purposes. The chief produce consists of wheat, barley, jowor, bajra'h, and muthh, in great plenty, but of sugar-cane, rice, and cotton, the produce is scanty. Traders have to pay a tax. “Laka'i lies about equidistant from the several mountain ranges surrounding it, being about twenty kuroh from each, save those in the direction of Bunnu and Tak, which lie farther off. "3rd Zeehijah.—Proceeded to Marwat to the village of Lakki. The cultivation depends on the rain. This is the principal town of Marwat. A small portion of the Kurram river is applied to cultivation. There are three tribes of Marwats. Bahram, under Feroz Khan and Muhablat Khan, resident of Ghuzni khel; amount of fighting men two thousand. Dreplarah, under Noora Khan and Allaiyar Khan, resident of Sangookhel and Asakkhel; amount of fighting men two thousand. 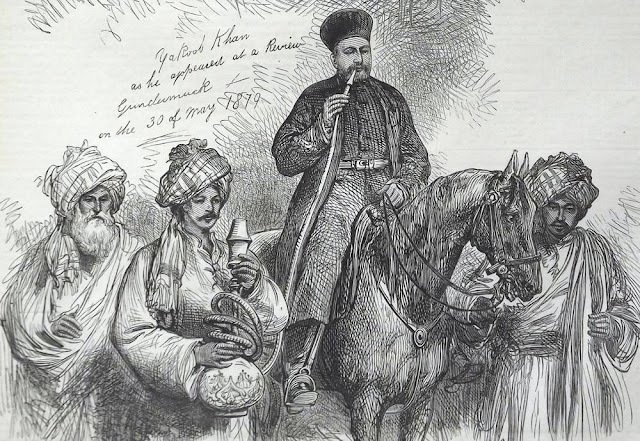 Musakhel, under Hyder Khan, resident of Adamzai, and Kashmir Khan, resident of Wali; amount of fighting men one thousand and five hundred. The former amount of the revenue of Murwat, in the time of the Sadozais, was 18,000 rupees, and in the time of the Nawabs of Dera, 50,000 rupees. 6- Journal of a tour through parts of Panjab and Affghanistan in year 1837 ; translated by Major R.Leech.